How do Inbound Marketing and Sales align to secure ROI? Usually, sales and marketing teams lack alignment. That is, they tend not to work side by side, or under the same goals. Conversely, sales representatives regret that marketing analysts are “living in the clouds”, while they were in charge of bringing money to the table on the sales floor and the ground. This hardly helps conversion, let alone ROI. However, alignment is not only good for teamwork. It has proven to increase lead generation, conversion rates, and revenue, by improving the quality of information, making both areas do more efficient and cost-effective work. Only 25% of leads are legitimate and should advance to sales (Gleanster Research). 25% of marketers who adopt mature lead management processes report that sales teams contact prospects within one day, and only 10% of marketers report the same follow-up time without mature lead management processes (Forrester Research). Hence, communication to provide valuable leads is essential. For that reason, HubSpot has added sales to the mix to revise this entire lifecycle, including a new Inbound Sales Certification. Their research found that salespeople have a hard time with the lack of information about leads and manual data entry, impending conversion. Nowadays, for instance, leading marketers are involved in the sales software decision-making process, and SLAs between Marketing and Sales yield more ROI, more budget, and more headcount. 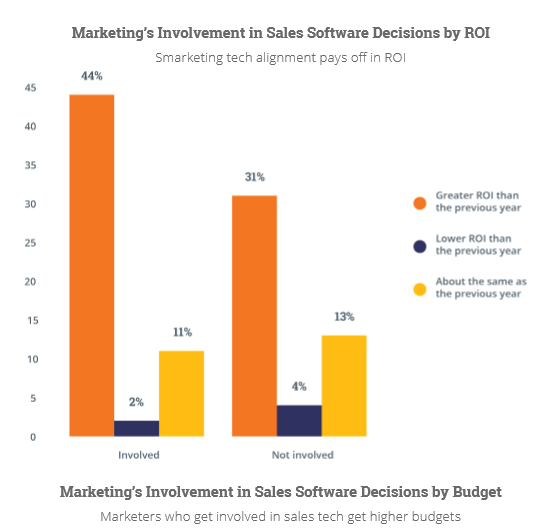 According to HubSpot State of Inbound, marketers who were involved with sales software selection were 13% more likely to see a positive ROI, and 11% more likely to receive an increased budget. 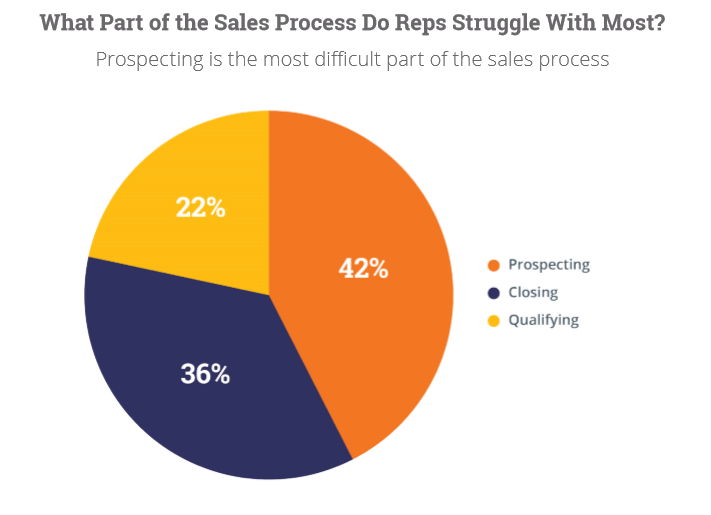 However, sales representatives are still lagging behind. “To regain credibility among executives, salespeople should arm themselves with content and become active on social networks,” the report states, calling for the area to arm itself in collaboration with marketing, such as becoming involved with the buyer persona. Prospecting, for instance, is one of the most sensitive parts of the sales process. This can help with marketing intelligence collaboration. "Inbound salespeople listen to the market to identify the buyers that are active in the buyer’s journey." 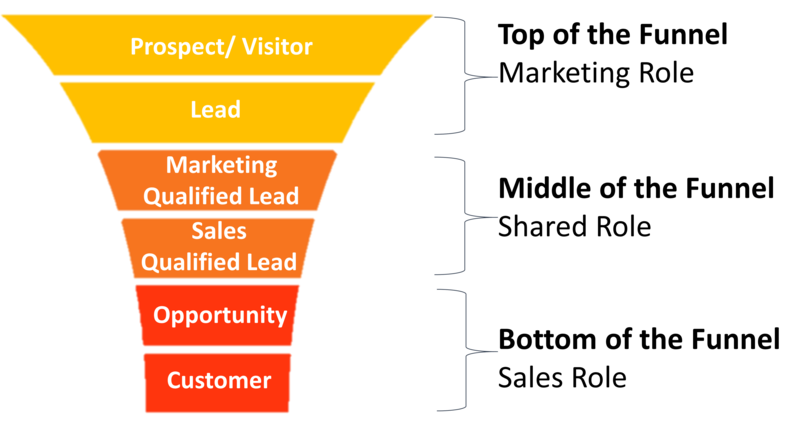 Marketing and Sales funnel have shared goals. 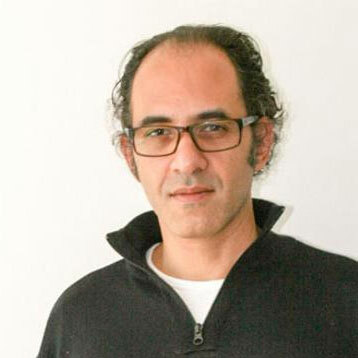 Although marketing is responsible for the top of the funnel, prospecting visitors and converting leads, and sales is in charge of the bottom of the funnel, seizing opportunities and turning them into customers, there is a middle part of the funnel whose works relies on collaboration and communication. Marketing and sales need to work together in qualifying leads back and forth. With feedback in closed loop reporting, companies increase the quality of leads for both marketing and sales. This increases in close rates and sales ROI, as two-way communication sends potential – but not eager- customers, back as marketing qualified leads, and engaged leads forward into sales qualification. Marketing gets relevant contact info and status updates, getting feedback to which programs are working or not. Sales get de-duplicated contacts, prioritize better their calls and get contacts more previously educated and engaged by marketing executives. Remember: there is no joint marketing + sales strategy that can increase ROI unless there is collaboration. What challenges do you face in aligning marketing and sales? We would like to hear your comments and suggestions.